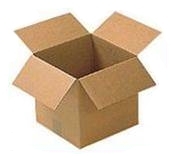 TriStar Group is the exclusive agent of "Boxes Israel" - one of Israel’s leading manufacturers of corrugated cardboard packaging. Company’s production capacity is around 70,000 tons a year. Can produce all range of cartons from 3PLY, 5PLY and 7Ply with 280 DD strength. 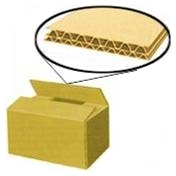 All cartons are made from KRAFT new material. Recycled paper can be used. TriStar Group is the exclusive agent of "E.Z. Pack" for PE & PP polybags manufacturing. EZ pack can also provide all packing materials such as: Adhesive Cello Tapes, Stretch Wrap etc. Laser cutting and printing is used. 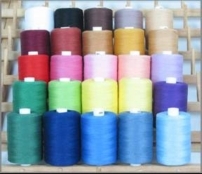 TriStar Group can provide Premium spun polyester sewing thread and synthetic yarn with all counts. An advanced low-friction lubricant and uniform construction provide exceptional sewing performance in high-speed and critical sewing operations. 2000 color shades available in stock. With more than one range to choose from, TriStar Group can provide nominated plastic hangers as well as a full line of GOH (Garment-on Hanger), Specialty, Fabric Covered and Wood Hangers. Nomination covers most of the retailers in the garment business such as Wal Mart, K-Mart, Sears, JC Penney, Kids r us, Khols, Liz Claiborne, Saks, Macy’s etc..Types of Hangers are Bottoms, Intimates, Outerwear, Tops and even Vics. 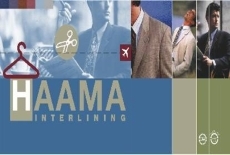 TriStar Group can provide all "HAAMA" products. Snowhite - The white Insulation. TriStar Group can provide all supplies a comprehensive range of chemicals for all stages of textile production and dyeing as well as for garment manufacturing. Stonewashing, Dyeing, Tie dyeing, Over-dyeing, Frost washing, Snow washing, Dye spraying, Graphic bleaching, Line Bleaching, Dip bleaching and Sandblasting. TriStar Group provides a big selection of woven and knitted elastic for the apparel industry. In addition, we also provide a complete line of metal, polyester coil (nylon) and Delrin (molded) zippers. The factory controls the entire production process so we can easily tailor any existing zipper type to your specific needs.